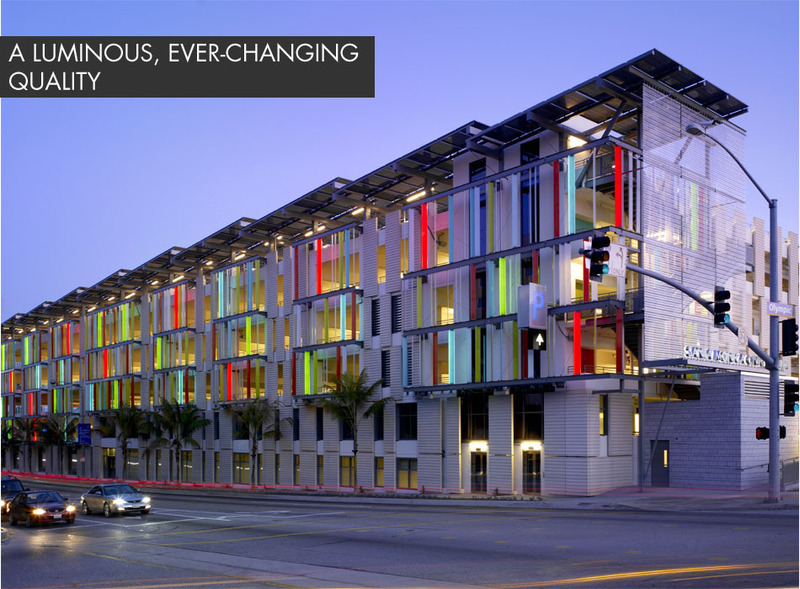 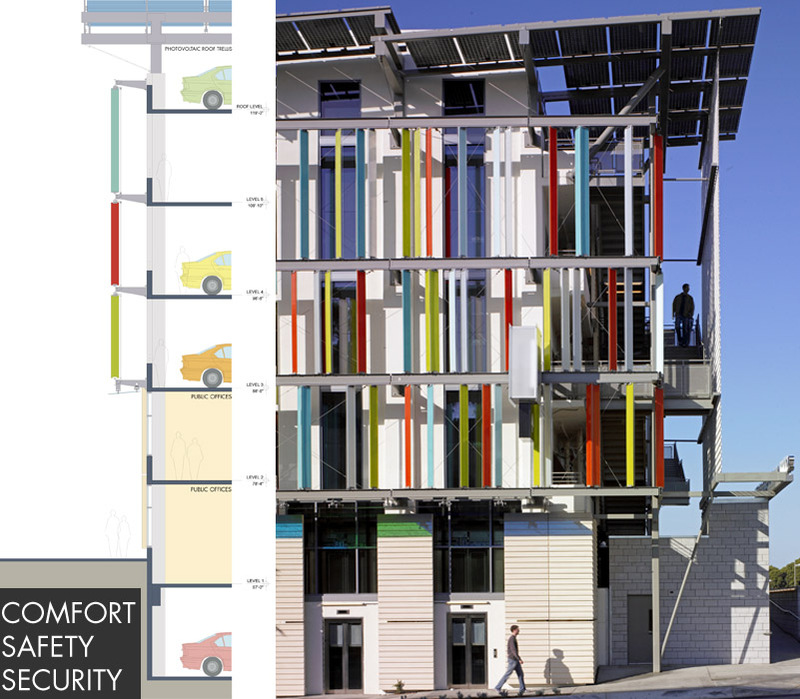 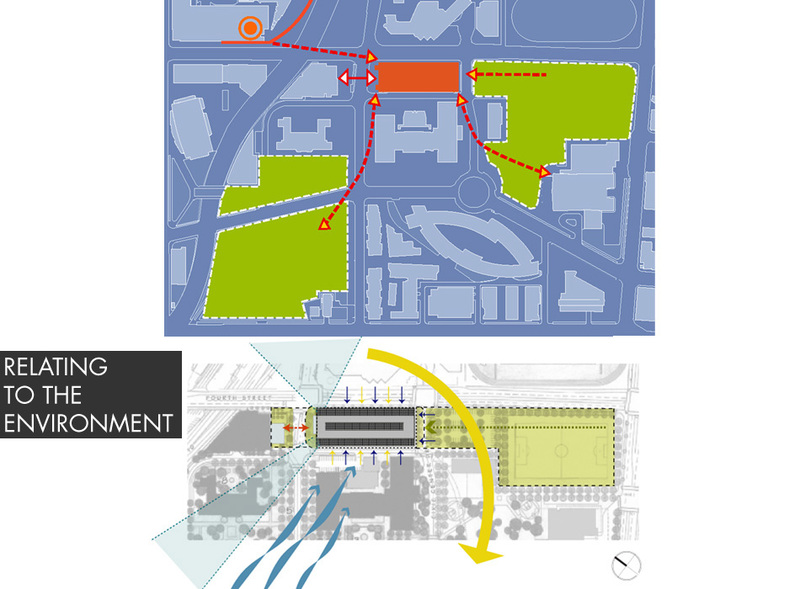 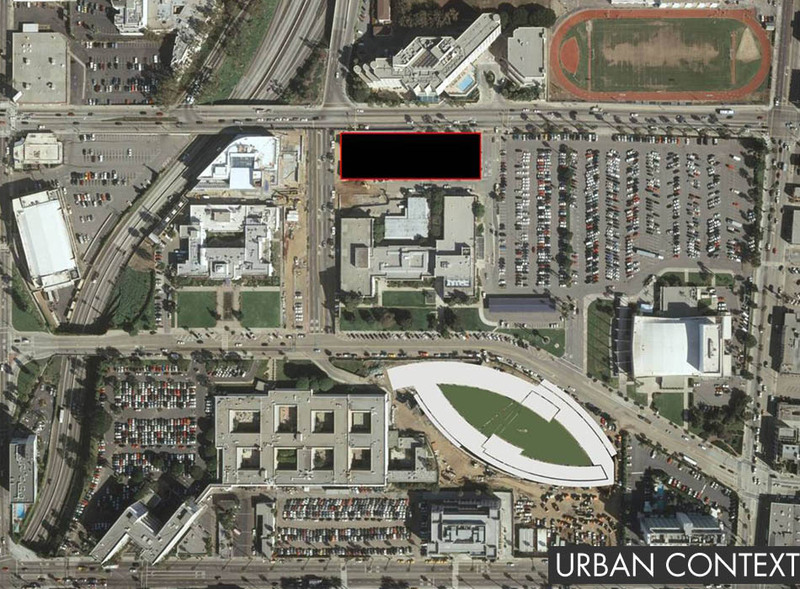 The design of this 300,000 sf parking structure establishes a strong presence within a cluster of civic buildings. 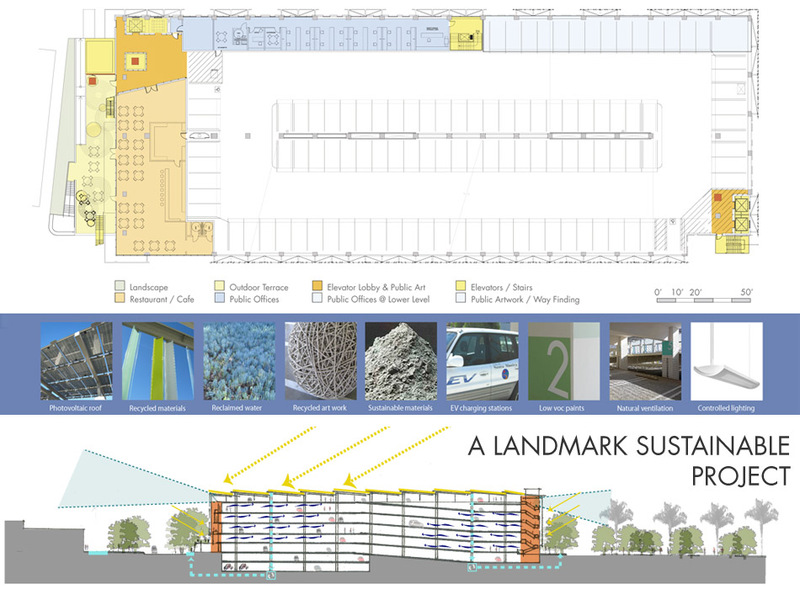 The structure provides 882 parking spaces accommodated in six levels above grade and two below grade, while a cafÃ© on the main plaza terrace animates the pedestrian traffic flow. 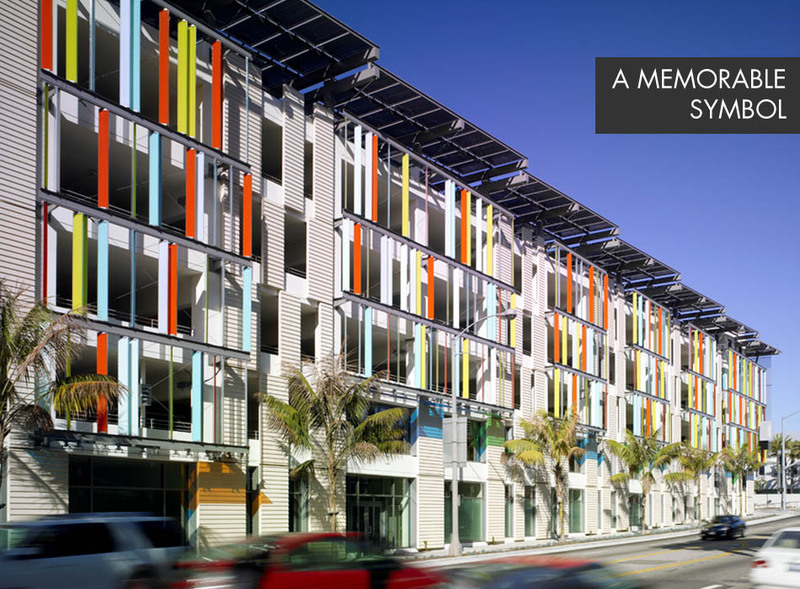 Sustainability was a strong consideration as well: materials with a high recycled content were used, including fly-ash replacement for cement and reinforcing steel and framing. 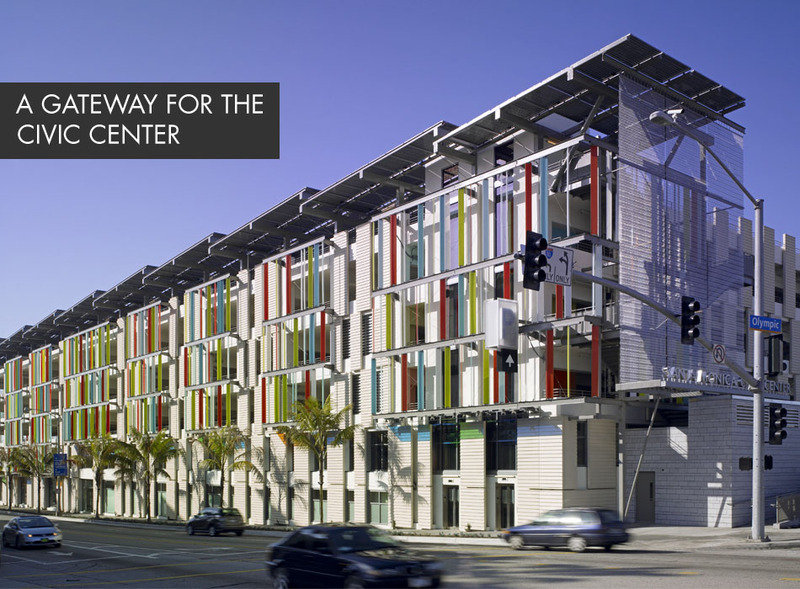 The design provides daylighting and views with exterior glazing for all main building areas â€“ including the tenant spaces and cafÃ© â€“ and photovoltaic panels on the roof fulfill all of the buildingâ€™s energy needs. 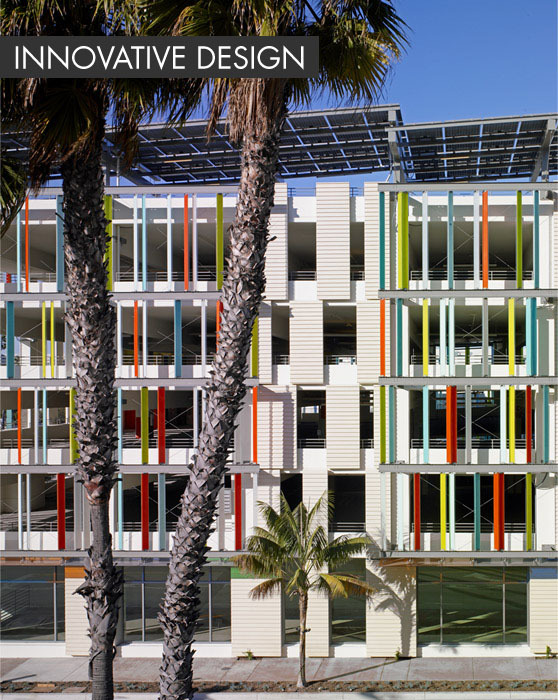 Pre-cast concrete panels compose a rhythmic, variegated pattern on all faÃ§ades. 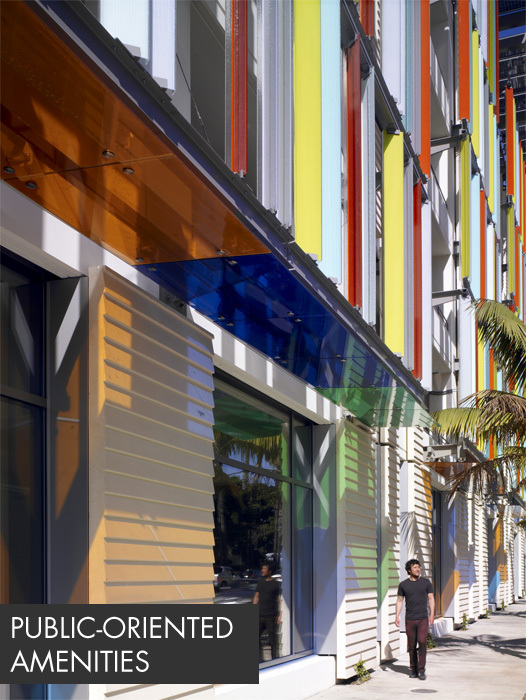 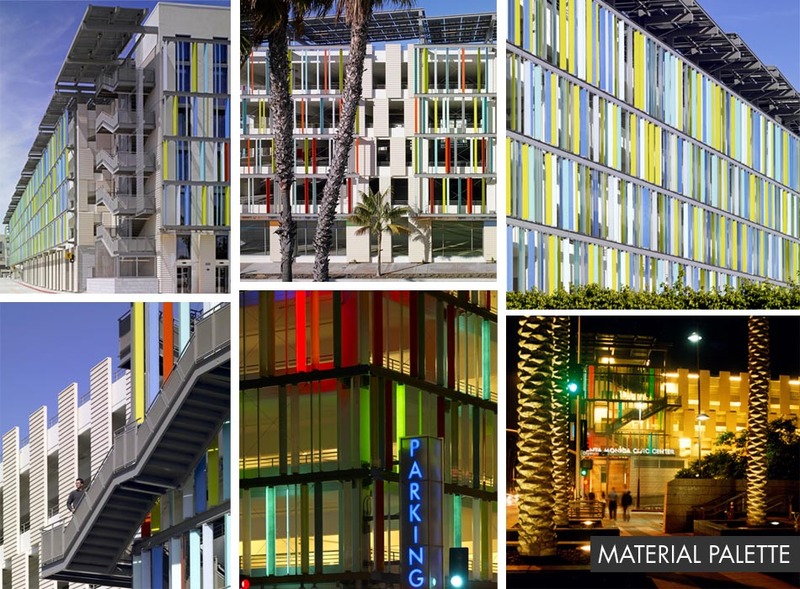 A series of bays made of channeled colored glass breaks down the scale of the structure and are set at varying angles to bring a luminous, scintillating quality to the building, and appear as a shimmering curtain in the evening.